Following the season’s kick-off at Phillip Island, which provided some thrilling and fascinating races, Pirelli is back on track for the second round of the MOTUL FIM Superbike World Championship, which will take place in Thailand on Buriram’s Chang International Circuit on 11-12 March 2017. For this event, which, just like the Australian round, will only be attended by riders racing in WorldSBK and WorldSSP classes, Pirelli brought more than 2500 tyres, mostly standard solutions in soft and medium compounds. Furthermore, on the Monday following the race weekend, the Pirelli SBK® Track Daysinitiative will also be back on track: the Buriram event will be the first of several track days dedicated to riders who support the Italian tyre brand, taking place in some of the most fascinating circuits hosting the production based Championship. 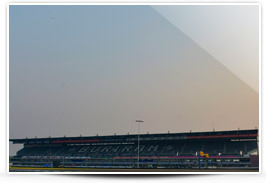 Since its inauguration in October 2014, Chang International Circuit has already hosted two editions of the MOTUL FIM Superbike World Championship and, up to now, it is the only track in the country having received FIM approval for hosting competitions belonging to this class. 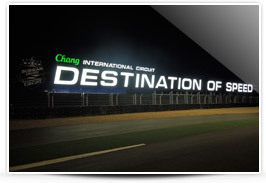 Designed by the architect Hermann Tilke and located in the City of Buriram, about 400 kilometres north-east of Bangkok, it is 4.554 km long and has 12 turns, 5 to the left and 7 to the right. The circuit’s layout is not particularly demanding for tyres. The main uncertainty, on the other hand, might be represented by the particularly high temperatures and humidity typical of that area. 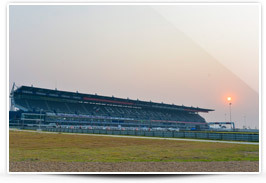 The MOTUL FIM Superbike World Championship made its début at Chang International Circuit in 2015 with a double victory of Jonathan Rea in front of a crowd of almost 84,000 spectators. The 2016 edition of the Thai round ended instead with a victory of the Kawasaki’s of Rea in Race 1 and Sykes in Race 2. 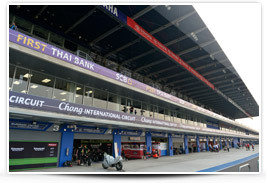 The solutions for the WorldSBK and WorldSSP classes In Thailand, as for the first round held in Australia, only the WorldSBK and WorldSSP classes will race. 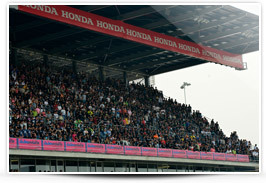 Both categories will have available, as usual, dry as well as intermediate and wet tyres. For this round, Pirelli brought to Buriram a total of 2594 tyres. In WorldSBK, riders will have five slick solutions, two rear and three front, only one of which is a development tyre. At the rear, there will be standard SC0 and SC1. Between the two solutions, the soft SC0 compound is the most likely to be chosen by the riders. This solution ensures better grip with medium-high asphalt temperature. In the case of cooler temperatures, the riders might choose the SC1 solution. At the front, the riders will be able to choose between the development SC1 S1699, which has already been well received by the riders during the first round, besides being the 2015 and 2016 most used front solution, and the standard SC1 and SC2, soft and medium compound solutions. Also in WorldSSP, riders will rely mostly on the standard solutions of the DIABLO™ Supercorsa SC range. As for the front, both the standard SC1 and the development V0533 will be available. This last development solution made its début in 2016 in Lausitzring and it has been used also in Magny-Cours, Jerez and Losail and in the first round of the 2017 season in Australia. At the rear, as for WorldSBK, standard SC0 and SC1 solutions will be available to riders. Even in this case, the choice between the two solutions will be mostly driven by the asphalt temperature. 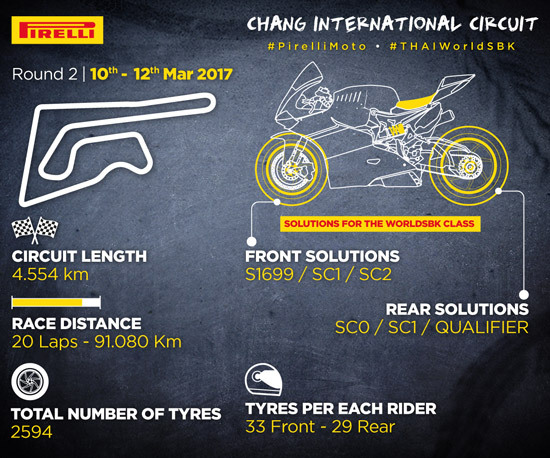 The 2016 Pirelli statistics for Chang • Total number of tyres brought by Pirelli: 2695 • Number of solutions (including dry, intermediate and wet) for the Superbike class: 4 front and 5 rear • Number of tyres available for each Superbike rider: 26 front and 26 rear • Number of solutions for the Supersport class (including dry, intermediate and wet): 4 front and 4 rear • Number of tyres available for each Supersport rider: 23 front and 22 rear • Superbike Best Lap Awards both won by: Jonathan Rea(Kawasaki Racing Team), in 1'33.936 (Race 1, 14th lap) and in 1'33.997 (Race 2, 5th lap) • Supersport Best Lap Award won by: Kyle Smith (CIA Landlord Insurance Honda), in 1’38.618 (8th lap) • Temperature in Race 1: air 34° C, asphalt 42° C • Temperature in Race 2: air 36° C, asphalt 43° C • Maximum race speed reached by Pirelli DIABLO™ Superbike tyres: 308.6 km/h, in Race 1 by Markus Reiterberger (Althea BMW Racing Team) at the 16th lap and in Race 2 by Jonathan Rea (Kawasaki Racing Team) at the 19th lap. • Maximum race speed reached by Pirelli DIABLO™ Supercorsa SC tyres in Supersport race: 268.7 km/h, by Lorenzo Zanetti (MV Agusta Reparto Corse) at 5th lap.